Here is a post we thought you might enjoy from our sister company Cleaning Services C on how to remove pet hair from anything. 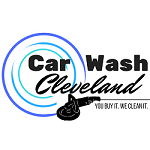 Along with a short video on how Car Wash Cleveland removes dog hair from a car floor. It’s just as easy to love our animal companions as it is to hate the little tumbleweeds of hair that collect on absolutely everything we own. Pet hair sticks to furniture, clothes, flooring, and it travels with us in our cars spreading the fur-ball love everywhere we go. The times of the year pet hair can be particularly annoying are when static is high and humidity is low (as in the end of winter) as well as the dreaded hot summer months when the hair is flying all over the place! This guide will give you some tips and surprising hacks for getting hair- shedding seasons under control so you’re free to just play with the dog and pet the cat. Most car interiors can be treated just like carpet – start with a lint roller or a small handheld vacuum to collect pet hair. If the lint roller isn’t cutting it, you can try a pumice stone. Just run the stone over interior surfaces and go gently on the carpeted flooring. Pumice stones pretty much last forever and they need no electricity to function.